Most gun reviews are of the latest and greatest new innovations, but this past weekend Carducci Tactical got our hands on a Ruger Super Redhawk Alaskan .44 Magnum double-action revolver. The verdict? We couldn’t put down the hunk of steel. This isn’t your average snub-nose revolver made for concealment. The .44 Magnum is a big-bore handgun made to pack a punch. 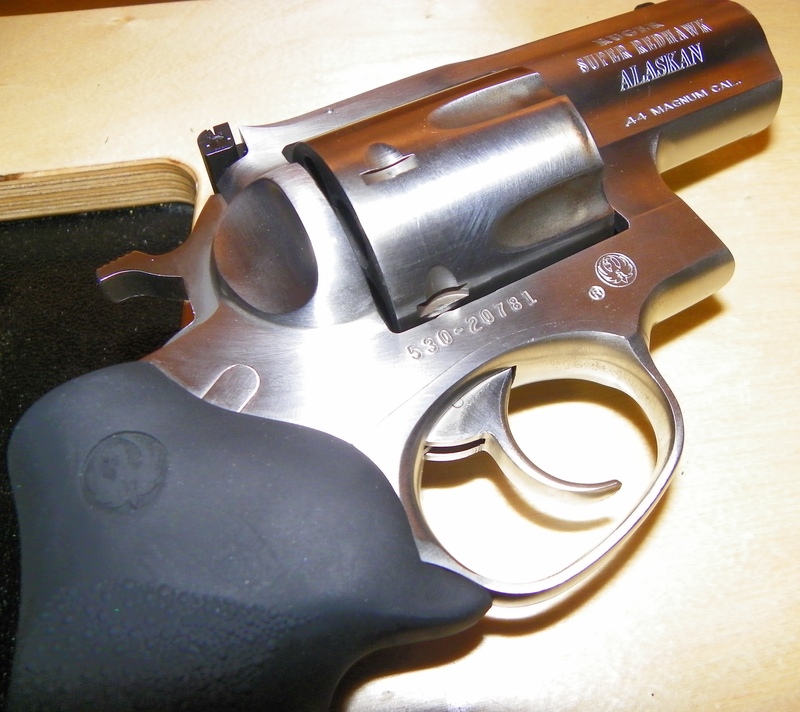 The Alaskan was introduced by Ruger in 2005 and comes in .44 Magnum and .454 Casull options. Both have a satin stainless finish and have a 2.50” barrel. The .44 Magnum version comes in at 45 oz. and the .454 Casull version is 44 oz. The rear sight is adjustable on both calibers. 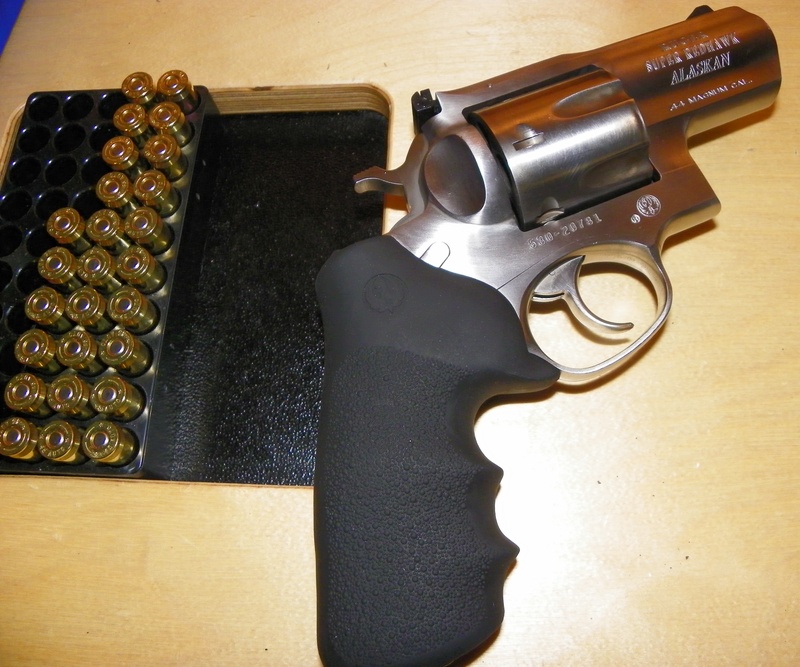 We found the .44 Magnum looks closer in appearance to the S&W N-frame but is more compact and more convenient to carry. The Ruger .44 Alaskan has a triple-locking cylinder for dependable operation shot after shot. The revolver comes standard with Hogue grips and a corrosion-resistant finish. 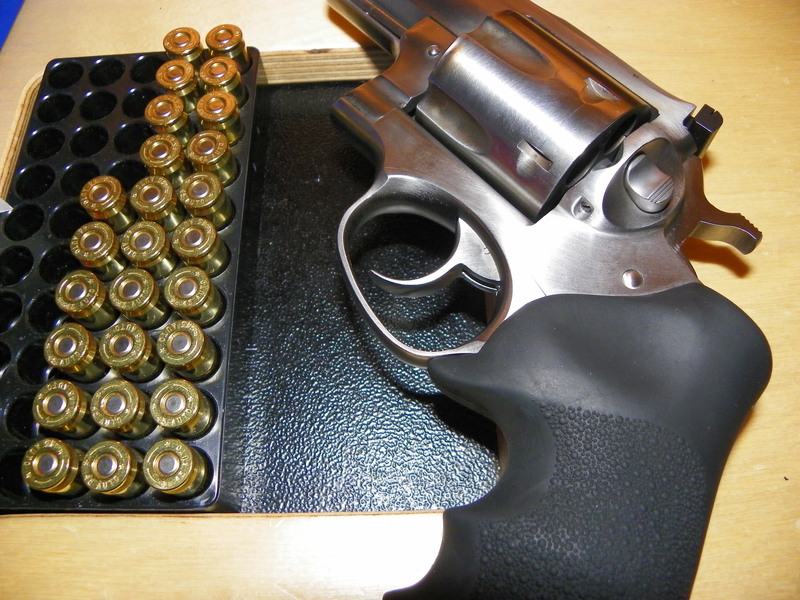 While it can handle big game loads we tested the Alaskan with Atlanta Arms and Ammo .44 Magnum 240GR SWC TCJ ammunition. We felt this load would provide a good mixture of velocity and weight to test recoil and rapid fire accuracy. 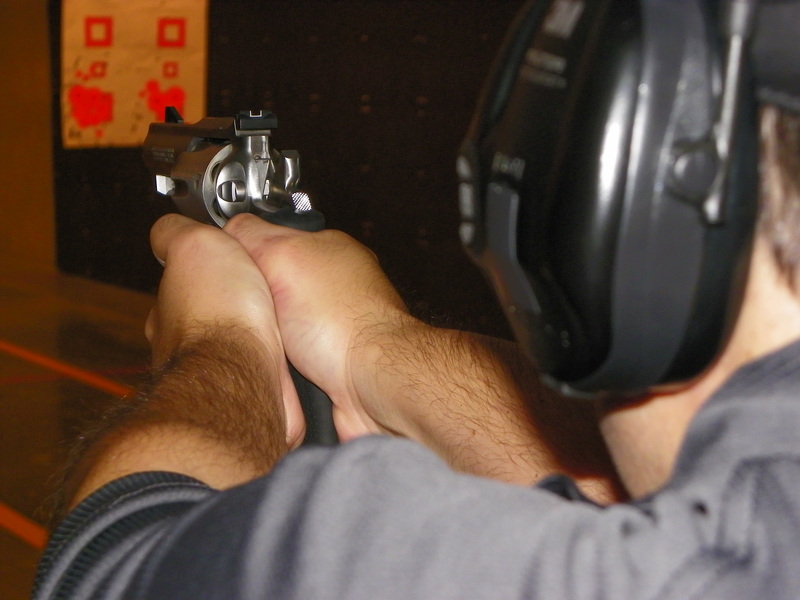 take full advantage getting tight groups at 10, 15 and 20 yards at our indoor range. The revolver has a short sight radius but our average grouping was less than 3 inches. want a little kick in power. steady when you shoot for the best accuracy. I prefer a longer barrel when using the double-action for distance shooting. We found stout recoil but not uncontrollable due to the large frame and great grips which soak up the recoil. It’s a big “snubbie” that quickly become one of our favorite revolvers. It’s a fun gun. It’s a good compromise in size, weight and power plus you have the Ruger durability. This entry was posted in Gun Reviews, Product Reviews. Bookmark the permalink.